To meet Deyshawn Bond is to feel small. While he’s not the tallest offensive lineman I’ve met, he packs a lot of muscle on his 6’1″ frame. Within moments of spending time with him, it became clear why other players and coaches speak so highly of him. As a fifth year senior, Bond is long-removed from his high school playing days in Indianapolis. That said, he fondly remembers playing for his HS Coach John Hart at Warren Central High School. Originally a Westside of Indy resident, Bond moved into the Warren Central school district after his aunt and uncle sold him on the Warrior’s winning atmosphere. Bond played offensive guard for the Warriors and was one of five Warren Central prospects to sign with UC in the 2012 recruiting class. Coming out of Warren Central, he was a three star recruit and rated as the No. 31 prospect in Indiana. Like most kids growing up in the Hoosier state, Deyshawn knows his way around a basketball court, too. At around 300 lbs., he has surprised many by being able to shoot the three and dribble drive the lane to the basket. Coach Cronin may want to take note! Bond has played under both Butch Jones and Coach Tuberville. As far as coaching differences between the two are concerned, Bond said that Butch Jones had more contact with the players during practices whereas Coach Tuberville delegates more to his assistants, trusting them to do their job. He has enjoyed playing for Coach Tuberville because of his professional approach to the game of football. 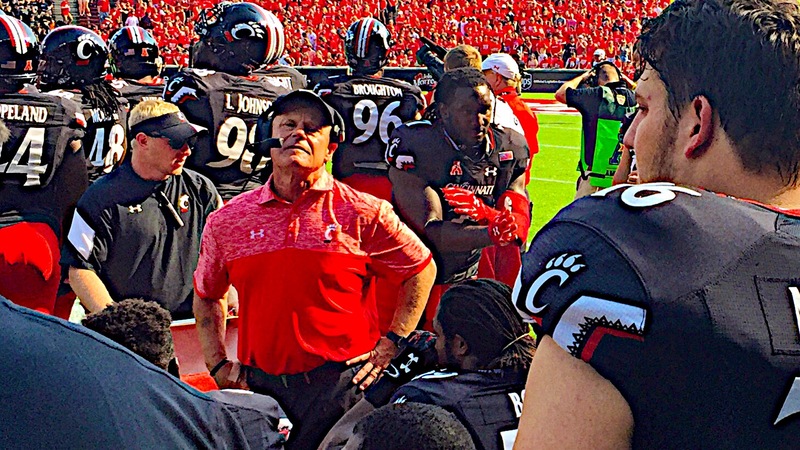 According to Bond, Coach Tuberville stresses details like being on time and focusing on academics and other values that extend well beyond their playing years at UC. Bond said his coach is a great person. Even though it’s Bond’s fifth year playing for UC, it’s his first year playing under new OL Coach JB Grimes. Last winter JB left Auburn University for UC, joining his son, Nick Grimes (TE Coach), on the offensive coaching staff. Bond spoke highly of JB, discussing his (1) 40+ years of coaching experience, (2) emphasis on blocking technique, and (3) deep southern accent (jokingly). More than just executing the system, Bond said that JB works with UC’s offensive lineman on their footwork and body positioning – which Bond thinks will help the younger guys develop into a solid unit. A rebuilding year, Bond is one of the only remaining offensive linemen to start every game last season (OG Ryan Leahy being the other). The other guys that fill out the rest of the O line have fewer starts, including OT Korey Cunningham. Bond and Cunningham are close – Deyshawn said that Korey is like a little brother to him. Last season Bond was named a second team All-American Athletic Conference selection. He was also named to the Rimington Trophy Preseason Watch List a couple times (2014-2015). Big Guys Lead the Way. It’s no secret that this year’s UC team has struggled to score points. 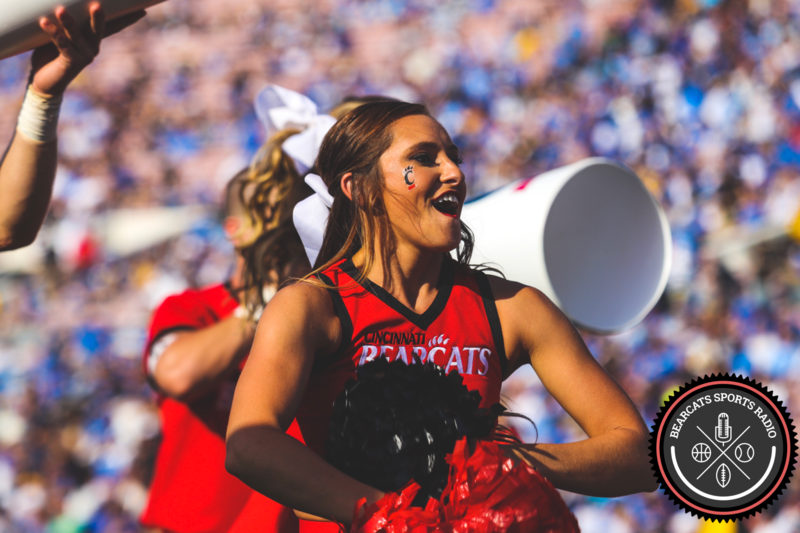 Many argue the Bearcats haven’t passed the ball well because our play-action isn’t threatening, and others argue the running game stalled because defenses aren’t intimidated by our passing game or speed on the edges. I think both camps miss the obvious – there aren’t enough Deyshawn Bonds left on the offensive front. Without question, this year’s offensive struggles are connected to UC’s lack of depth on the offensive line. 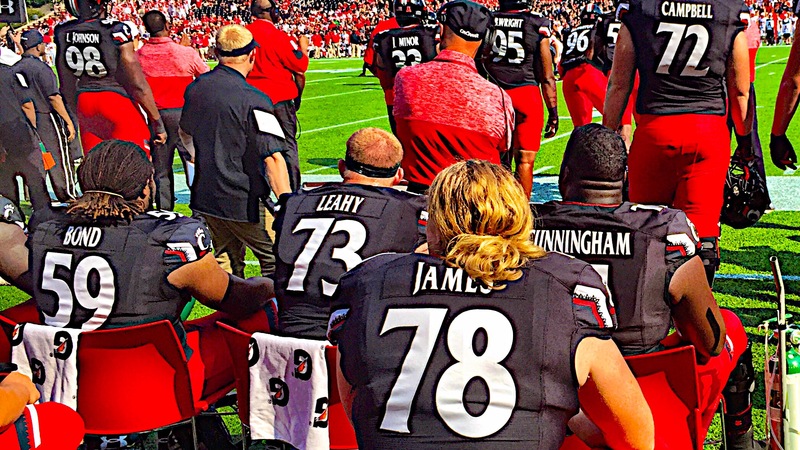 The departures of Parker Ehinger and Justin Murray left big holes on the offensive front, and the older players (like Bond and Leahy) and coaches need to help UC’s younger guys mature. While his senior season has not turned out as planned, it is my hope that players like Deyshawn Bond will come to appreciate their many contributions to UC’s future successes through their legacy of leadership and investment in younger players. 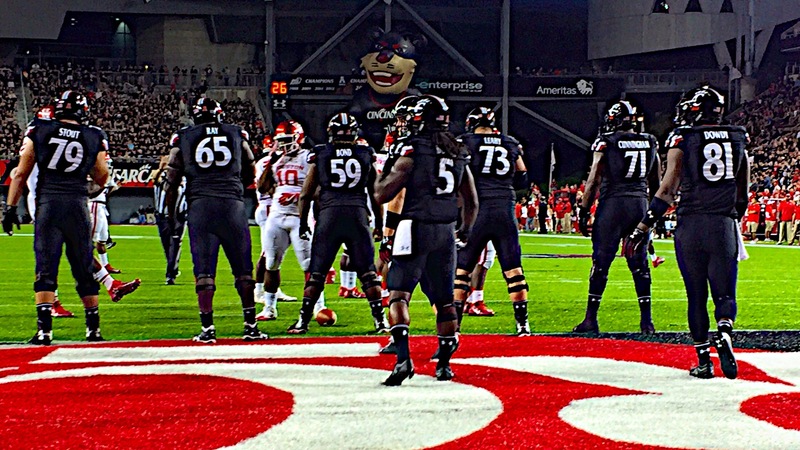 The University of Cincinnati is fortunate to have a big guy like Bond leading the way. He will suit up one last time tonight as the Bearcats face Tulsa in Oklahoma at 8:30 PM EST. The game will be televised on ESPN2.